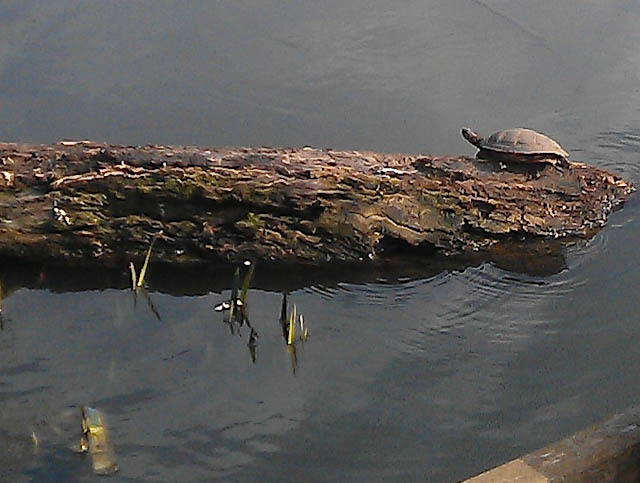 Tooting Commons: Is it a tortoise? I found this on my phone in May, having taken it in March. I'm flummoxed. It looks like a tortoise, but I have no memory of having seen a tortoise. and, if I had, I would probably have got out the proper camera. But if I didn't see it was a tortoise, why did I photograph it?